With his father, Vince, watching in the stands and in his first game back since the arrival of his first child, Duchene delivered a goal and two assists in a 5-2 home win over Colorado on January 16. Not a bad way to celebrate a 28th birthday, especially when the biggest gift of all happened to come one week earlier. Six days ago, the centre was dialed-in against his former team. Duchene scored on both shots he took, was a plus-3 rating on the night and skated away with First Star honours. When he returned home after the game, the native of Haliburton, Ontario, was sporting the same smile he’s been flashing for nearly two weeks. Would doting be an accurate way to describe the new parents? 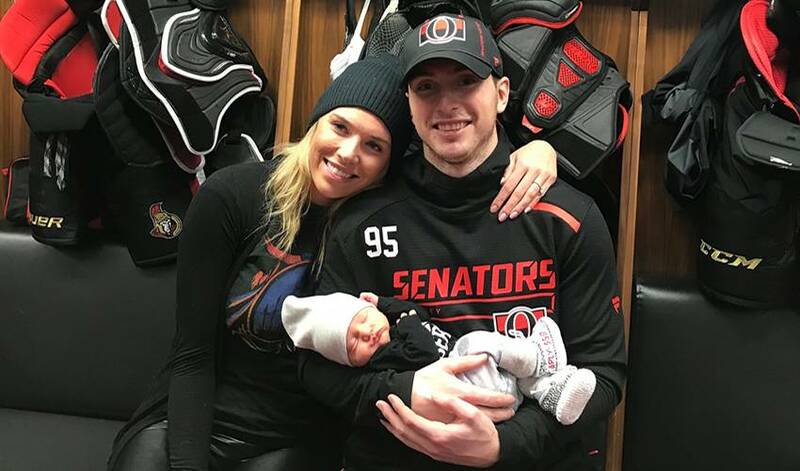 Duchene had plenty of praise for his wife, including her kindness in taking one for the team, so to speak. As for what’s in a name, Duchene shared a great story with plenty of family history behind it. “Beau’s middle name, Newell, is named after my grandpa, Newell Brown, who lives with my grandma in Cornwall,” he started. “I asked my grandpa where the name came from and he told me it came from his great, great, great grandfather. He was on his way over from Scotland to settle at the family farm in Cornwall, where my grandparents still live and he happened to meet this family named Newell who had three girls. He fell in love with one of the girls on the boat and they married later on once they arrived in Canada and settled down on the farm. Soon, the Duchenes will be heading to Haliburton, a chance for relatives and friends to welcome the new addition to the family. The proud new father isn’t worried if the topic of his memorable birthday game doesn’t come up in conversation.